Archaeologists believe that the recent discovery of a large building in the valley of the Hebron hills of Israel indicates that the biblical King David was a real historic figure, who led a united Jewish kingdom. Until now there has been no archaeological proof that the King David of the Old Testament actually existed, as no public buildings connected to him have ever been found. 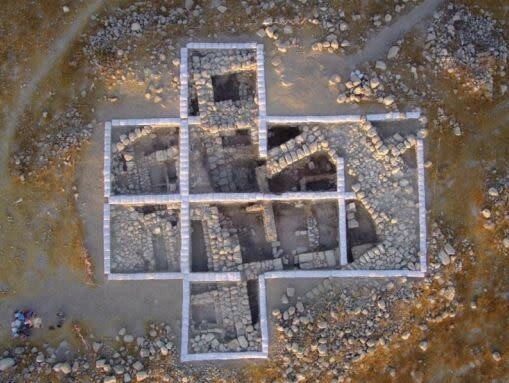 An article at Haaretz.com reports that archaeologists at Bar-Ilan University say that the monumental structure and the settlement around it discovered at Tel ‘Eton, near the Hebron hills in the central Israeli lowlands, represents possible proof of the existence of public buildings during the Davidic era, in about the 10th century B.C. Ashlar stones are shaped with tools to fit together, rather than used in their natural state. Radiocarbon testing of pottery found deposited in the foundation and olive pits and coal found in the floor of the house indicate that it was built in the late 11th century B.C. or the 10th century. 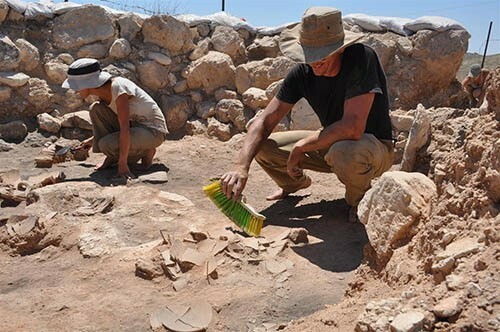 “This has bearings on the date in which social complexity evolved in Judah, on the debate regarding the historicity of the kingdom of David and Solomon,” archaeologists Avraham Yair Faust and Sapir wrote, in an article published earlier this year in the archaeological journal Radiocarbon. The archaeologists’ findings came with the help of naked mole rats who burrowed underground unearthing evidence of human habitation. “The mole rat told us that there is a small settlement in a place where nobody thought a settlement had existed,” said Faust, according to the Haaretz report. What’s more, the mole rats may have even found evidence of where the city discovered around the “governor’s house” at Tel ‘Eton was destroyed by King Sennacherib and the Assyrians. Other archaeologists urged caution, however, before surmising that the newly discovered settlement was necessarily Davidic, reported Haaretz. Dr. Ido Koch of Tel Aviv University notes that the “governor’s house” has no writing to indicate it was part of a Jewish Kingdom.